The need for the replacement of the current voters' register cannot be ignored. Even before we reached this notch, the case for the replacement was as solid as rock. But for the overt and covert manouvres by the then political establishment and managers of elections at the time, the discredited lot, we should have had it replaced. The assemblage of so-called party representatives such as Akua Donkor and others took turns to kick against the replacement as what they were coached to do is etched in our memories. We have gone through terrible days in our democratic journey, with such choreographed scenes determining important decisions in our elections. If the bottom-line is that the multiple questions which impaired the integrity of the register cropped up remain unresolved not replacing the voters' register would constitute an irresponsibility of the highest order. A voter register replacement inures to the interest of credible elections in the country hence an enhancement of democracy the ultimate goal of all Ghanaians with a stake in the progress of the nation. We are pleased to observe that the subject has popped up once more and this time with a new set of managers at the election management office, a replacement is certain. The resolve of the new crop managers leading election management is not in doubt. We, therefore, implore these personalities to do their work as best as they can and in consonance with best internationally accepted best practices. Ignoring the usual cacophonous remarks from political killjoys should be ignored. They will start as soon as the modalities for the replacement of the register are announced – we can bet. With the National Identification Authority (NIA) actively churning out the Ghana Card, we are set to identify bona fide Ghanaians and therefore those qualified to choose our political leaders. Over the years, our electoral system has been so tarnished that non-Ghanaians were ferried into the country not only to vote but also do so in a particular direction. The abuse of our laws served the interest of the political establishment in place then hence the prevalence of the electoral anomalies. The Abu Ramadan case at the Supreme Court which eventually saw the outlawing of the health insurance identification card for the purpose of voter registration showed the extent of the contamination of the register. 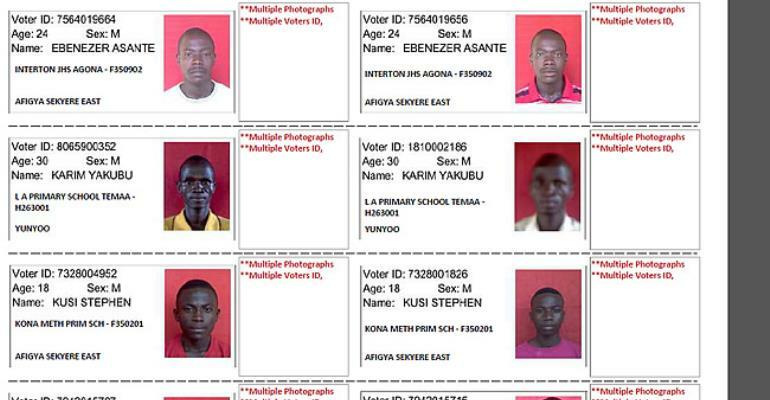 Before that landmark ruling, some holders of the card had already had their details captured in the register. This and other contaminants in the register make its replacement not optional but mandatory if we require a clean register. It is a painful affront to us as Ghanaians if the parochial interest of a political grouping gives way to breaches of our electoral system. The arithmetic of the voters' register has also been questioned by experts with knowledge in such matters. Why should we continue harbouring a voter's register which has been in use over many years, with the necessary periodic addition and subtraction of details not carried out?